Top Rated Local® is pleased to announce that Rapid Key Recovery is a 2019 award winner for locksmiths in Minnesota! When you need fast, reliable locksmith services, you need Rapid Key Recovery in Minneapolis! Rapid Key Recovery has received more than 100 reviews on four verified sites with an average rating of 4.82 stars, earning them a fantastic Rating Score™ of 96.17 and a 2019 Top Rated Local award for ranking among the top 10 locksmiths in all of Minnesota! “I had wonderful service from David today. We had our door locks rekeyed, four total, in about one hour. He arrived within the stated time span, promptly got to work, and that was it! [I] would definitely go through here again.” – Jonathon K.
Robin, the owner and President of Rapid Key Recovery, generously gave us a few minutes of her time to tell us about her award-winning business and its stand-out online reputation. The first question we had for Robin was what sets Rapid Key Recovery apart from their competition in Minnesota. She told us that Rapid Key Recovery is a woman-owned, veteran-owned business that’s been around for more than 30 years, and that they are only AAA locksmith in Hennepin County and the first to be hired on at AAA in the past 25 years. Outside of building a powerful online reputation, Rapid Key Recovery has gotten their name out there by running an ad in the Yellow Pages and through referrals from AAA and their Google and Facebook pages. Congratulations to the team at Rapid Key Recovery for being a 2019 Top Rated Local award winner, and thank you so much, Robin, for taking the time to speak with us! We highly recommend Rapid Key Recovery in Minneapolis. Visit their website today! Top Rated Local® is pleased to announce that Carolina Key is a 2019 award winner! “Replacing the key of a 2017 Honda CR-V was such a smooth and fast experience with Matt. He got everything done in less than 10 minutes from the time I arrived there. And he was super helpful in teaching us how to use the key in case the fob battery dies. It was so much better than having to deal with the Honda dealer and much cheaper! 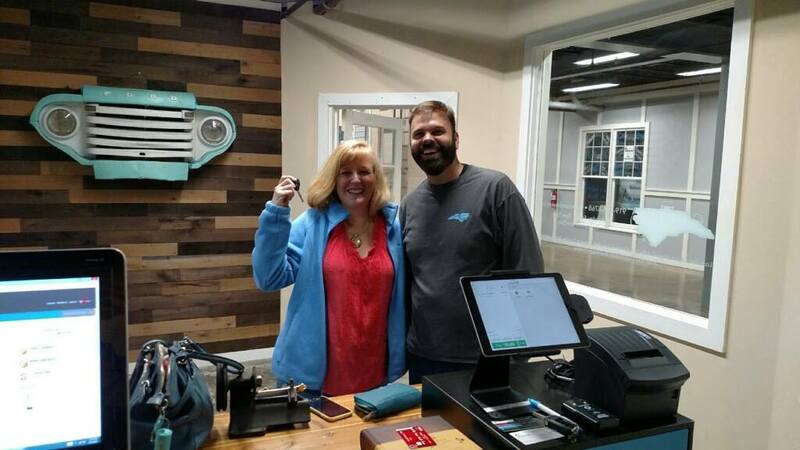 I won’t hesitate to use Matt again and tell all my friends to get their keys replaced here.Thanks, Matt!” -Frances T.
Matthew, the owner of Carolina Key, took some time to talk to us about his business’ remarkable online reputation. Congratulations to the team at Carolina Key for being a 2019 Top Rated Local award winner, and thank you so much, Matthew, for taking the time to speak with us! We highly recommend Carolina Key in North Carolina. Visit their website today! Top Rated Local® is pleased to announce that Apex Lock and Key Locksmith is a 2019 award winner for locksmiths in North Carolina! Whether you’ve been locked out or you need your home or business rekeyed, Apex Lock and Key Locksmith is the company to turn to. Apex Lock and Key Locksmith has received hundreds of reviews on four verified sites with an average rating of 4.81 stars, earning them a phenomenal Rating Score™ of 97.10 and a 2019 Top Rated Local award for ranking among the top 10 locksmiths in all of North Carolina! “We just moved into a new house, and I needed to get three locks completely removed and changed. Juan came out ([the] same day) and was so thorough and professional. He explained all [of the] charges and did a wonderful job. He was very kind to my rambunctious children, too. [I] will definitely call this company again if I need locksmith services. Highly recommended!” – Teresa F.
We wanted to learn a little more about Apex Lock and Key Locksmith and their tremendous online reputation, so we took a few minutes to talk with the General Manager, Joel. We also wanted to know what their mission is at Apex Lock and Key Locksmith and how they work to make the world a better place. Joel shared with us that, at the end of the day, their goal is to make their customers happy. When asked about Apex Lock and Key Locksmith’s secret to such a strong online reputation, Joel told us that Apex puts their customers first, and they do everything in their power to do everything right the first time. If by chance, there is ever an issue that arises, they will take care of it very quickly and fairly to ensure customer satisfaction. Joel went on to tell us that, outside of building a powerful online reputation, they have done everything they can to get the Apex name out there, and that their focus in on staying current and relevant. Congratulations to the team at Apex Lock and Key Locksmith for being a 2019 Top Rated Local award winner, and thank you so much, Joel, for taking the time to speak with us! We highly recommend Apex Lock and Key Locksmith. Visit their website today! 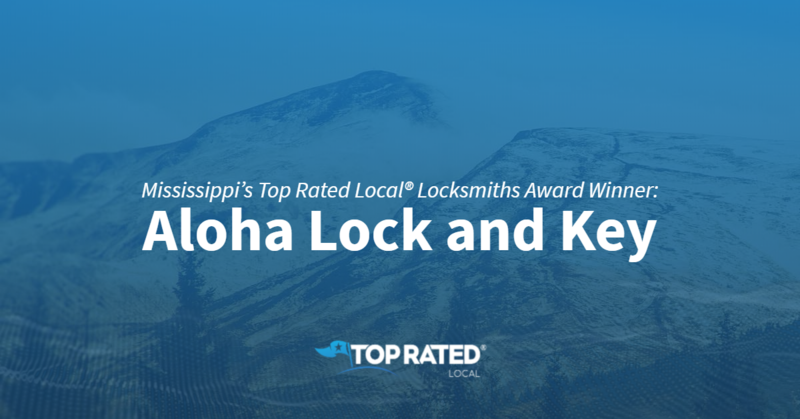 Top Rated Local® is pleased to announce that Aloha Lock and Key is a 2019 award winner for locksmiths in Mississippi! When you need a locksmith in Jackson who can get the job done efficiently and effectively, you need Aloha Lock and Key in Jackson. Aloha Lock and Key has received dozens of reviews on multiple verified sites with an average rating of 4.61 stars, earning them an outstanding Rating Score™ of 90.08 and a 2019 Top Rated Local award for ranking among the top 10 locksmiths in all of Mississippi! “I needed a new key cut for my 2013 Ford F-150. I purchased a blank online and took it here after being turned away from several other locksmiths. Well, I should have come here first. They cut the key right away, and I was on my way in about two minutes. [The] key works perfectly after programming. I will definitely return here the next time I need keys cut for anything.” – Sean M.
Linda Steed, the owner of Aloha Lock and Key, generously gave us a few minutes of her time to tell us about her award-winning business and its spectacular online reputation. The first question we had for Linda was what sets Aloha Lock and Key apart from the many other locksmiths in Mississippi! Linda points to the fact that, at Aloha Lock and Key, nothing goes out the door undone. Linda attributes Aloha Lock and Key’s strong online reputation to the dedication they have to their customers. Outside of building a powerful online reputation, Aloha Lock and Key’s growth has come from their honesty with customers and from doing good work. Congratulations to the team at Aloha Lock and Key for being a 2019 Top Rated Local award winner, and thank you so much, Linda, for taking the time to speak with us! 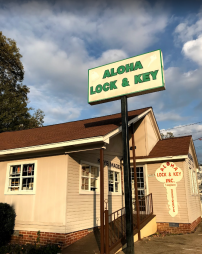 We highly recommend Aloha Lock and Key in Jackson. 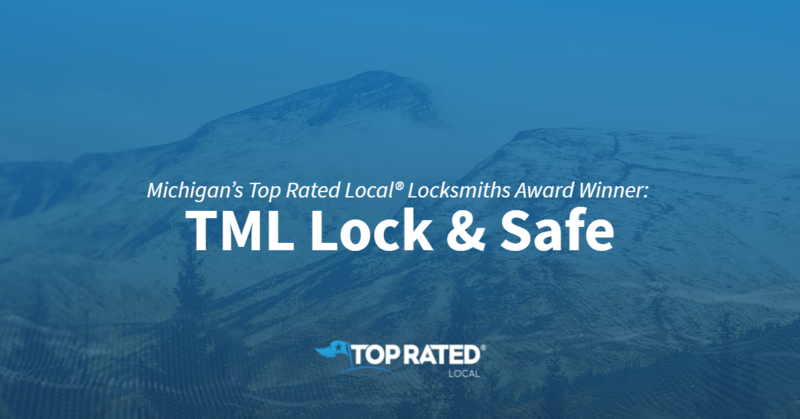 Top Rated Local® is pleased to announce that TML Lock & Safe is a 2019 award winner for locksmiths in Michigan! When you’re locked out, you need a locksmith you can rely on, and in Flint, no other locksmith beats TML Lock & Safe. TML Lock & Safe has received dozens of reviews on four verified sites with an average rating of 4.81 stars, earning them a phenomenal Rating Score™ of 96.09 and a 2019 Top Rated Local award for being ranked the number one locksmith in all of Michigan! We wanted to learn a little more about what makes this award-winning company tick, so we talked with Julie Mitchell, the co-owner of TML Lock & Safe. Outside of building a powerful online reputation, TML Lock & Safe has gotten their name out there by outsourcing their marketing to a company that helps with their website and online marketing. Congratulations to the team at TML Lock & Safe for being a 2019 Top Rated Local award winner, and thank you so much, Julie, for taking the time to speak with us! We highly recommend TML Lock & Safe. Visit their website today! Top Rated Local® is pleased to announce that Northern Plains Locksmiths is a 2019 award winner for locksmiths in North Dakota! 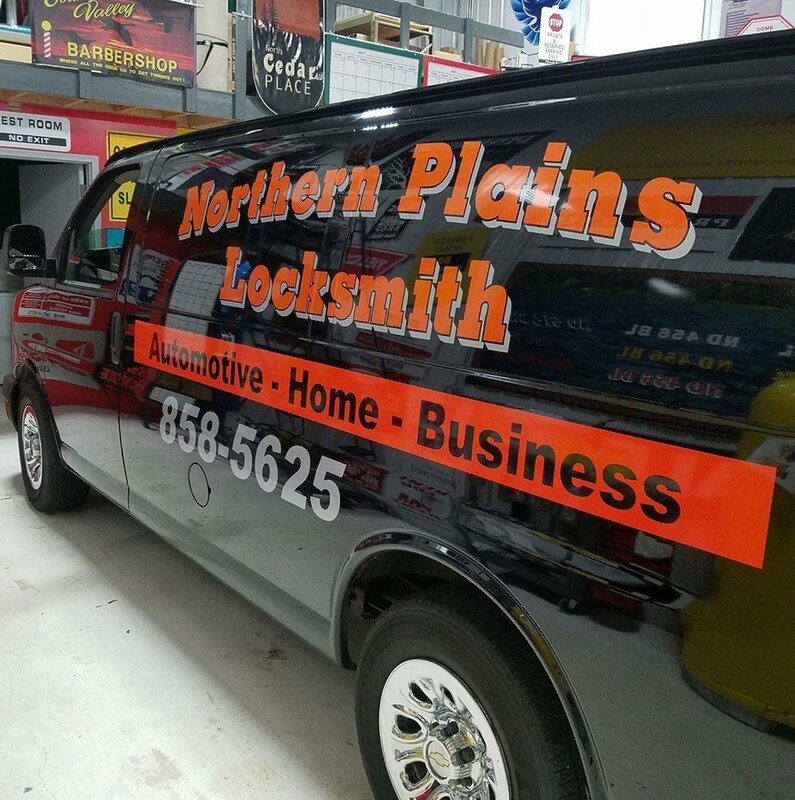 For all of your automotive, residential, and business locksmithing needs, we highly recommend using Northern Plains Locksmith in Minot, North Dakota. Northern Plains Locksmiths has received many reviews on three verified sites with an average rating of 4.82 stars, earning them an incredible Rating Score™ of 90.22 and a 2019 Top Rated Local award for ranking among the top 10 locksmiths in all of North Dakota! “I broke my key off in the door of my work truck, and this guy pulls up in a mobile key cutting van and cuts me a key on the spot at 10 p.m. on a Saturday night! The price was reasonable, too. Incredible.” -Shay W.
We wanted to learn a little more about this award-winning business and its impressive online reputation, so we took a few minutes to talk with Robert Johnson, the owner at Northern Plains Locksmiths. Outside of building a powerful online reputation, Northern Plains Locksmiths has gotten their name out there through online contact with customers. Other than that, they have a presence in the phone book and online. Congratulations to the team at Northern Plains Locksmiths for being a 2019 Top Rated Local award winner, and thank you so much, Robert, for taking the time to speak with us! Visit their website here! Top Rated Local® is pleased to announce that Green Locksmith is a 2019 award winner for locksmiths in Minnesota! From lock-outs to new lock installations, Green Locksmith has what it takes to handle your needs in Minnetonka. Green Locksmith has received more than 100 reviews on three verified sites with an average rating of 4.91 stars, earning them a wonderful Rating Score™ of 95.05 and a 2019 Top Rated Local award for ranking among the top 10 locksmiths in Minnesota! “I am running out of words to describe the wonderful experience I had with this company. The locksmith was a very honest and skilled person. He did the whole job with professionalism and perfection. I was very happy and satisfied with the service. Great work!” – Eugene C.
In order to learn a little more about this award-winning business and its stand-out online reputation, we took a few minutes to talk with Daniel Vaisman, the co-owner of Green Locksmith. Congratulations to the team at Green Locksmith for being a 2019 Top Rated Local award winner, and thank you so much, Daniel, for taking the time to speak with us! 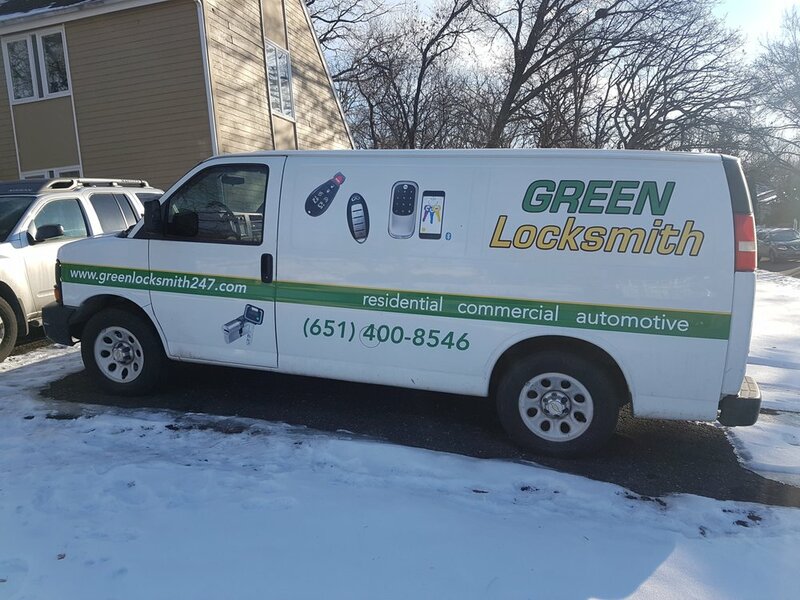 We highly recommend working with Daniel and his team at Green Locksmith. Visit their website today! Top Rated Local® is pleased to announce that Bloomington Security Solutions is a 2019 award winner! “[I am] extremely happy with the service! Everyone from the company was courteous and helpful. Their schedule was full, and they found a way to fit me in without making me feel like a bother. I talked to two people within the company and one tech in the field. Each individual was professional and accommodating. The tech on-site did a great job and was very helpful and friendly. I’m new to the area, and I’m happy to find a great resource for my future needs. Thanks to everyone on staff who helped us out; keep up the great work!” -Troy D.
Tony Hokanson, the owner of Bloomington Security Solutions, took some time to chat with our team about his business’ remarkable online reputation. Congratulations to the team at Bloomington Security Services for being a 2019 Top Rated Local award winner, and thank you so much, Tony, for taking the time to speak with us! 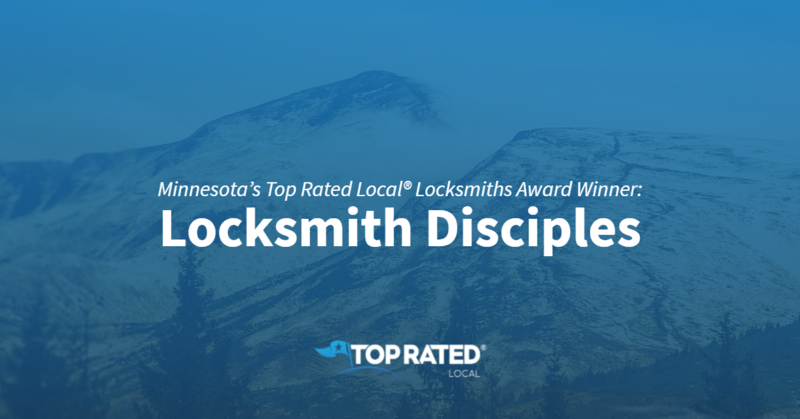 Top Rated Local® is pleased to announce that Locksmith Disciples is a 2019 award winner for locksmiths in Minnesota! Locksmith Disciples has received many reviews on four verified sites with an average rating of 4.98 stars, earning them a resounding Rating Score™ of 98.80 and a 2019 Top Rated Local award for ranking among the top 10 locksmiths in Minnesota. “The owner st Locksmith Disciples was great to work with. I purchased a programmed key fob, and his pricing was super reasonable. He was also very accommodating to adjust his schedule and meet me late in the day at there store in Brooklyn Park. I will definitely be using him in the future for any locksmith needs. Thanks again for the outstanding work! !” -Rodd P.
We wanted to know a little more about Locksmith Disciples, so we took a few minutes to talk with the owner of this award-winning business, ChueFeng Lee. The first question we had for ChueFeng was what sets Locksmith Disciples apart from the other locksmiths in Minnesota. ChueFeng shared that they have integrity and are always honest with their clients. He provides all prices up front and will offer a quote before ever arriving on location. Additionally, he strives to be prompt and efficient during every job. We also asked ChueFeng what their mission is at Locksmith Disciples and how they work to make the world a better place. ChueFeng is passionate about locksmithing and believes that this is his purpose in life. ChueFeng credits Locksmith Disciples’s strong online reputation to the fact that he has an actual shop location, all while getting his brand out there by utilizing social media. He believes that it is all about customer service and evidently does a wonderful job at providing it. Congratulations to the team at Locksmith Disciples for being a 2019 Top Rated Local award winner, and thank you so much, Chuefeng, for taking the time to speak with us! Visit his website here! Top Rated Local® is pleased to announce that The Flying Locksmiths Ann Arbor is a 2019 award winner for locksmiths in Michigan! The next time you’re locked out, don’t panic. Instead, get the fast, friendly service you need by turning to The Flying Locksmith Ann Arbor. The Flying Locksmith Ann Arbor has received dozens of reviews on three verified sites with an average rating of 4.75 stars, earning them a spectacular Rating Score™ of 89.78 and a 2019 Top Rated Local award for ranking among the top 10 locksmiths in all of Michigan! “The Flying Locksmiths provided us excellent service for our project. We are a small non-profit, and they were prompt, professional, and provided a solution to our needs quickly and cost-effectively. Their work was done well, and in a timely manner. I couldn’t have asked for better service.” – Nick P.
In order to learn a little more about The Flying Locksmith Ann Arbor, we took a few minutes to talk with the owner, Rich Dabney. The first question we had for Rich was what sets The Flying Locksmith apart from other locksmiths in Michigan. He points to their vans, which catch the eye of prospective customers, to their national presence, which comes from being in a franchise, and to the fact that they work hard to both earn and keep their customers’ business. We also wanted to know what their mission is at The Flying Locksmith Ann Arbor and how they work to make the world a better place. Rich told us that they do so by educating their consumers that they are far more than just the traditional locksmiths; they are physical security experts. He also told us that they provide their customers with as many options as possible. Although they’ve only been in business since October of 2016, The Flying Locksmiths Ann Arbor already has an online reputation any business owner would envy. Rich credits The Flying Locksmiths Ann Arbor’s strong online reputation to their commitment to always providing quality customer service. Outside of building a powerful online reputation, that same high-quality service has also led to word of mouth referrals, which according to Rich, is their main source of growth at The Flying Locksmiths Ann Arbor. Rich told us that they also spread the word about who they are and what they do by participating heavily in the local Chamber of Commerce and in other local organizations. 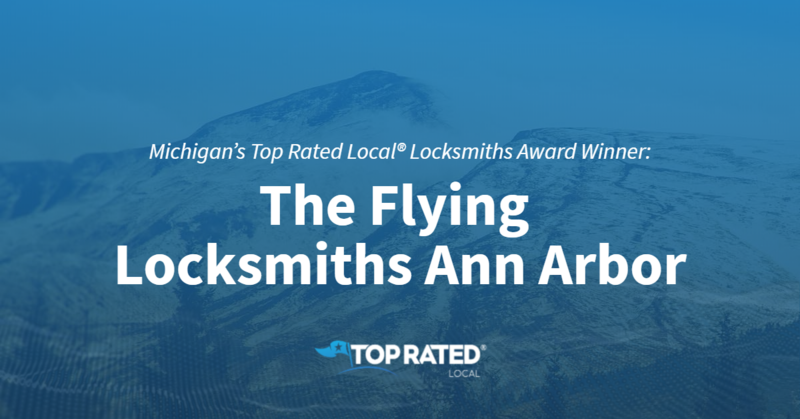 Congratulations to the team at The Flying Locksmiths Ann Arbor for being a 2019 Top Rated Local award winner, and thank you so much, Rich, for taking the time to speak with us! For all of your lock-out needs, we highly recommend turning to The Flying Locksmiths Ann Arbor. Visit their website today!